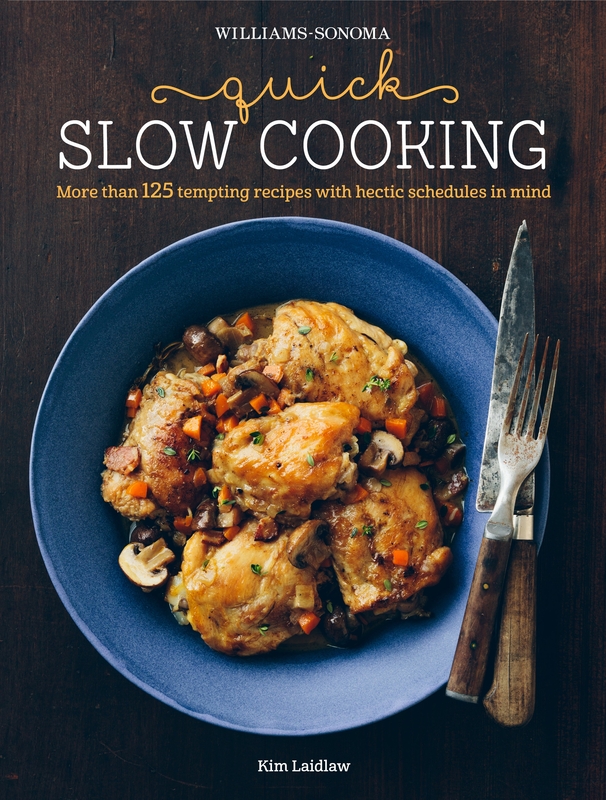 This cookbook from Williams-Sonoma minimizes hands-on time while maximizing flavor in 120 main dish recipes for the slow cooker. Slow cooker recipes are a boon to the busy cook, but many call for long ingredient lists and complex preparation steps that just aren’t realistic for cooks on the go. In this new take on slow cooking, the recipes are developed with hectic schedules in mind, with streamlined ingredient lists and a minimum of recipe steps. Each recipe is a one-pot dish or a main course that can be easily augmented by a simple salad or side dish. In addition to the over 120 delicious recipes, there are tips for choosing a slow cooker, how to build flavor into your dishes, how to stock your freezer and fridge, and tips for busy cooks on how to get weeknight dinners on the table.